Reporting directly to the Capacity Building Manager, the Coordinator is responsible for planning, executing and accomplishing the objectives and goals of the projects/programs of the department. Work closely with the Capacity Building Manager in planning, directing and implementing educational community programs, screening activities and any required activity during the year. Network and build relations with local NGOs, to ensure the smooth implementation of the educational activities. Assist the Capacity Building Manager in raising funds for the educational projects through proposal writing, arranging for meetings, preparing reports, and researching potential funding opportunities. Develop and implement detailed action plan for workshops for the programs and monitor and track progress of the programs/workshops. Prepare progress reports and specialized reports relevant to the activities and workshops. Develop and implement procedures, practices and processes to meet operational, logistical and services needs. Facilitate requirements when needed between departments at the RFC and its partners/ service providers involved in the projects in Jordan and abroad. Implement events, while adhering to RFC’s policies and procedures. Assist in the coordination of all legal contracts with the Manager and the RFC legal advisor. Liaise with RFC’s Administration Department regarding price offers, travel, bookings, purchasing, quotations, catering and logistics for all projects and programmes. Communicate directly with applicants seeking the Capacity Building Department’s labs, workshops and programs. Responsible for preparing all administrative documents relevant to the department’s projects and programmes. Break down applications and follow up on them with the applicants. Assist in interrelated correspondence with the team members, applicants/participants, mentors, crew, cast, etc. Coordinate related logistics such as to soft and hard filing, event booking and reservations, etc. Responsible for providing general and specific information for literature reporting, monthly, annual and upon request. Work with the financial department to help set up reports, monthly, annual and upon request. Attend workshops and events as required by projects and Project Manager. Perform other coordination tasks or duties that may be assigned by the Manager. A BA in business administration or any relevant field. Minimum 3 years’ experience in a similar position. Excellent communication and writing skills in Arabic and in English. French is a plus. Experience in filmmaking and knowledge of film production and culture are big assets. Capacity to work autonomously and under pressure. Ability to take swift decisions. Excellent organizational skills and attention to details. 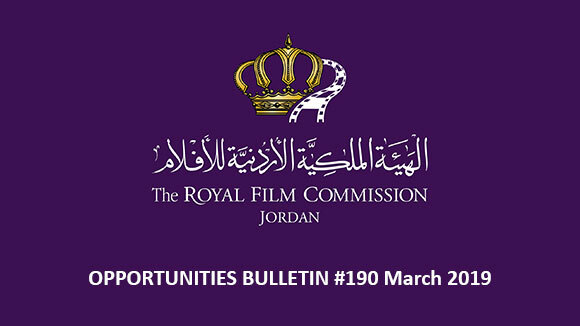 Please send your application to the following email: recruitment@film.jo no later than 31 January 2018, and indicate clearly in the subject of your email the title of the position you are applying for. 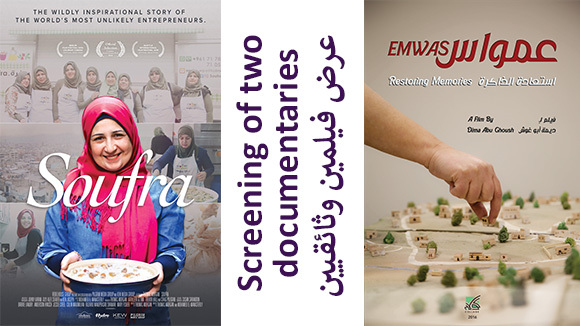 Identify innovative ideas and business opportunities by conducting research on the filming industry and production opportunities in Jordan. Locate and propose potential production projects by contacting potential producers; discovering and exploring opportunities. Respond to production related inquiries. Assist in preparing and processing permits for productions requests. Help coordinate and execute special RFC events, meetings, and promotional presentations at festivals, FAM tours, FTCC, etc. Conduct day-to-day market research across all international markets seeking potential projects to film in Jordan. Ensure to use effective promotional tools and strategies to showcase Jordan locations’ differentiation, services’ differentiation and cost advantages. Liaise with studios, sales companies, distribution partners, filmmakers/talent and others as needed. Support circulation of promotional materials, posters, brochures. Support in PR and marketing in Jordan. BS degree in Business Administration, Marketing or related field. Film and media background and experience isare a plus. Excellent English (oral and written) skills. Proven ability to research online. Strong analytical and critical thinking. Submissions are now open for the Sheffield Doc/Fest 2018 Film and Alternate Realities programmes, to discover the best new works in documentary and non-fiction storytelling globally. The festival welcomes submissions for short, medium length and feature films for consideration for the 2018 Sheffield Doc/Fest programme. Sheffield Doc/Fest is open to all sectors of film and media production. Sheffield Doc/ Fest encourages documentary submissions from independent filmmakers, established or debut talent, multi-platform and digital artists, cooperatives, distributors, media institutions and educational institutions. The 25th edition will take place from 7th until 12th June 2018. The Sheffield Doc/Fest Film Programme offers filmmakers an essential platform to launch their films at one of the world’s leading documentary festivals, and allows audiences to experience these first through World, International, European and UK premieres. The festival does not accept rough cuts unless prior consent has been given by the programming team. Films should be presented in picture lock or fine cut. To discuss options, please contact films@sidf.co.uk. interactive documentary from around the world. A one-day forum bringing together creatives to share insight into the hottest and most compelling areas of interactive design, production and distribution. A place for creatives developing interactive, immersive and virtual reality experiences taking part in tailor-made meetings and pitching for funding and new partnerships. Due to the volume of entries received, Doc/Fest cannot offer feedback or individual comments for projects not included in the programme. The Sharjah International Children's Film Festival (SICFF) is now accepting film submissions to its 6th edition that will take place from 7th until 12th October 2018. Films must be for an audience of children & youth up to 18 years old. Entries will be subject to preview by a committee constituted by this festival. Films which were submitted in the last year's festival are not acceptable, whether accepted or rejected. Film producers, directors, distributors or their duly authorized representatives or duly authorized government organization/ agency of the participating countries may enter their films for the competition through the enclosed submission form. The film submitted should not be broadcast nor presented in the internet or TV for public. The deadline for submissions is on 15th March 2018. The Stuttgart Festival of Animated Film and the Robert Bosch Stiftung are staging a new edition of Arab Animation Forum in 2018 from April 26th -29th, during the 25th Stuttgart Festival of Animated Film. The Arab Animation Forum connects young directors, producers, animation artists and film makers from the Arab World (member states of the Arab League) with producers from Germany. 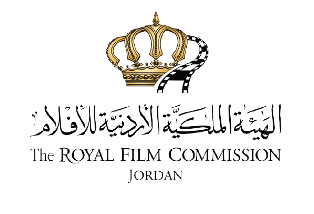 The aim of the Arab Animation Forum is to identify interesting projects and to connect potential co-production partners directed towards a possible application for the Film Prize of the Robert Bosch Stiftung for International Cooperation. The forum’s main purpose is to support the participating filmmakers in finding a coproduction partner and the further development of their projects. Therefore several meetings, workshops, consultings and matching sessions will be held during the forum. The selected directors, animators, and producers will be invited for four nights to join the Arab Animation Forum in Stuttgart. Accommodation and travel expenses are covered by the Arab Animation Forum. During a pitching competition within the forum, a jury will determine one winning project, which then is automatically nominated for the Film Prize of the Robert Bosch Stiftung for International Cooperation, provided that there is a German producer or co-producer involved in the project by the film prize’s submission deadline. Eligible to attend the Arab Animation Forum are animation filmmakers from the Arab World looking for a producer or co-producer as well as German producers interested in producing or coproducing an animated film project. 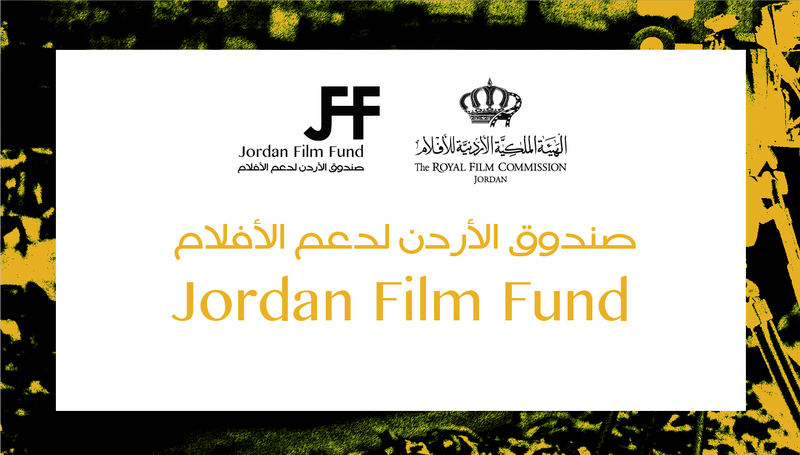 Young animators and directors from the Arab World are eligible for participation by submitting a film project, they are currently working on. Please note that you cannot apply for the forum with an already completed film. The application should be submitted by a producer, animator or director. About 9 animated short film projects from the Arab World and about 9 producers from Germany will be selected for the forum. The deadline for applications is on 15th February 2018. In partnership with the Beirut based Metropolis Cinema, and with the support of the Arab Fund for Arts and Culture (AFAC), the Locarno Festival is proud to announce the launch of the first Industry Academy International in the Arab world to be held in Beirut (Lebanon), in the frame of the Beirut Cinema Platform professional meetings, from 22nd until 25th March, 2018. The Industry Academy acts as a shortcut for a new generation of professionals entering the independent film industry, encouraging their progress, helping them to get a better understanding of the Industry’s challenges and broaden their network of contacts. The Beirut-Locarno Industry Academy International aims at helping young industry professionals in sales, marketing, distribution, exhibition and festival programming, to understand the challenges of the independent movie industry both the Arab world and the International scene. The first edition of the Beirut-Locarno Industry Academy International will be held in parallel to the Beirut Cinema Platform professional co-production meetings, organized by Beirut DC and Fondation Liban Cinema and will welcome up to 8 participants from the following countries: Jordan, Algeria, Bahrain, Egypt, Iraq, Kuwait, Lebanon, Libya, Morocco, Oman, Palestine, Qatar, Saudi Arabia, Sudan, Syria, Tunisia, United Arab Emirates and Yemen. Call for entries open from December 20th until January 26th 2018. 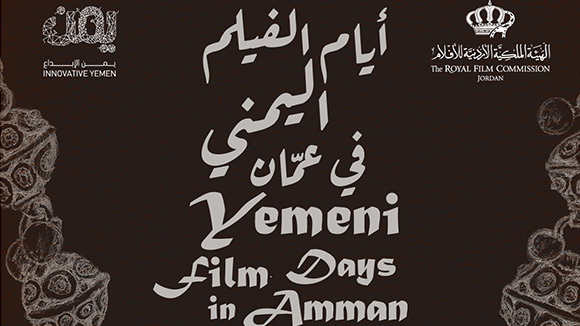 The Arab Cinema Center (ACC) has opened the call for applications for Arab film projects to participate in the MAFF - M?laga Film Festival Fund & Co-production Event and the M?laga Work In Progress, which are held on the sidelines of the M?laga Film Festival in Spain (from 13th until 22nd April, 2018). 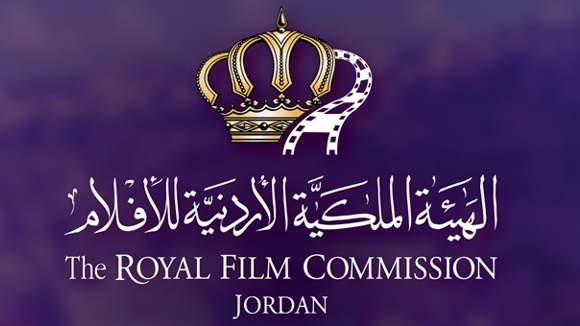 The ACC is going to select two Arab film projects from each category as per the agreement between the ACC and the festival. To be eligible to apply for the MAFF - M?laga Film Festival Fund & Co-production Event, projects must have secured 20% of the financing for production. Each production company can apply with a maximum of two film projects. As for the M?laga Work In Progress, projects must be the first or second works of their directors. The two winning film projects of the MAFF - M?laga Film Festival Fund & Co-production Event are going to have the opportunity to connect with the international funding institutions attending the festival and producers from Spain and other European countries. The M?laga Work In Progress focuses on financing film production, facilitating its completion and international distribution. Films participating in M?laga Work in Progress will have the opportunity to present their project to the INTERNATIONAL FUNDS participating in the MAFF and to the sales agents and international distributors that participate in SSMC. The deadline for applications is on 15th January 2018. The Sole Luna Association aims to give life to friendly relationships and cultural exchanges between people. In order to fulfill this purpose, it addresses its activities to young generations. Thinking about mutual knowledge as a natural bridge linking positive values, the association plans its projects taking inspiration from different artistic expressions. Music, cinema, dance, painting, architecture and science have turned into means for a deeper knowledge of the “other”. A particular attention is given to the audiovisual channel, which is an instrument able to show both the near and the far world to the widest and most heterogeneous audience. The Sole Luna Doc Film Festival will take place in Palermo from 2nd until 8th July 2018 at Santa Maria Dello Spasimo with the two showcases: Human Rights and The Journey. The Scientific Committee of the Association will select the most interesting projects received by March 1st, 2018 that will be hosted during the events of the 13th edition of the documentary film Festival. The documentaries will be chosen among films from around the world which will be subscribed to the announcement online starting from the 1st November 2017 and finishing on the 1st February 2018. This section is considering documentaries that enlighten crisis and problematic situation in the world where Human Rights are not respected. documentaries that tell stories of peoples, of people and landscapes will be considered in this section. The showcase in competition will be an anthropological journey, a cultural bridge of knowledge of the “other” without any prejudice. The 19th Calgary International Film Festival will take place from 19th until 30th September 2018, and submissions are now open. Short films must be maximum 40 minutes. Features must be 41 minutes and up, completed after June 2017. Your film must be a Calgary Premiere. The festival screens all genres. 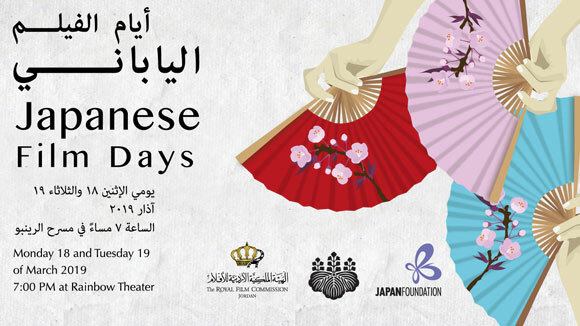 The program includes, but is not limited to, Canadian Cinema, World Cinema, American Cinema, Documentaries, Late Shows, Music on Screen and Shorts. Film format: DCP (preferred) and BluRay. Calgary Fest. also has 3D capability. The festival only accepts secure online screener links. Please add your secure screener link to the appropriate field on the form, or if needed can be included in the comments section instead. Early submissions: 1st May, 2018, Regular Deadline - 1st June, 2018, Late Deadline - 14th June, 2018. Submissions are not accepted after 14th June, 2018. All filmmakers will be notified by Wednesday, 15th August, 2018.